optimal muscle and nerve function by guiding your feet through a more normal pattern of movement. They are custom-made for each individual's unique postural and weight bearing patterns. can help increase your strength, enhance your athletic performance and keep you feeling energized. and the type of shoes you wear. knee & ankle pain, short leg, shin splints, heel spurs, foot problems, etc. Spinal Pelvic Stabilizers help you maintain your body's structural and functional balance. that can cause ankle, knee, hip, lower back pain, neck pain and even headaches. hip, or neck pain? My feet don't even hurt. your body stable as you stand, walk or run. 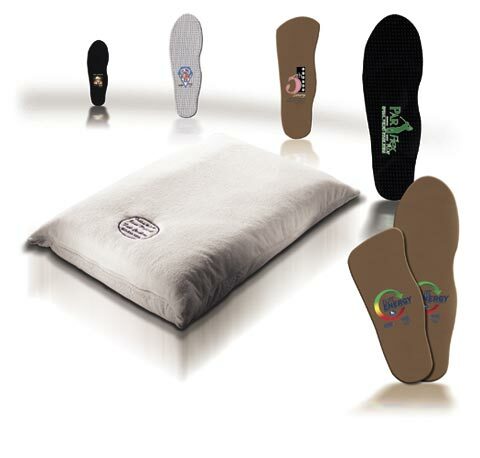 We use Foot Levelers' Associate Platinum Scanner to assess each patient's weight bearing pattern. and uses a pressure reading to evaluate how your feet are balancing your body's weight. 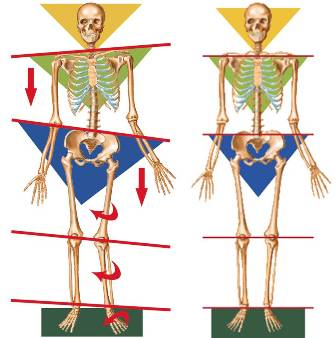 If your scan shows any imbalances, we can help you decide which type of stabilizers are best for you. custom-made to correct the imbalances found. made from a generic mold and cannot provide the specific support that your body needs. Don't wait for pain to tell you there is a problem. Please call 410-674-8605 to schedule a COMPLIMENTARY foot scan. or Shoethotics, please visit Foot Levelers.